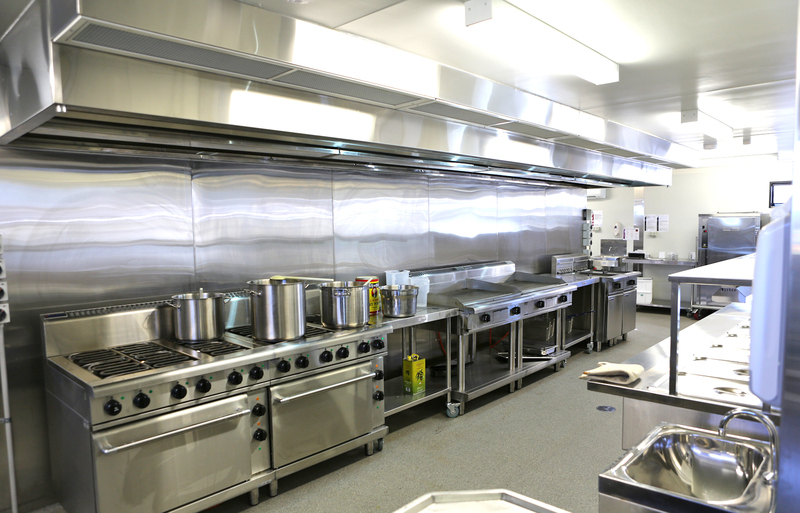 Hiring a Kitchen or Diner is a fast and flexible solution for any site. 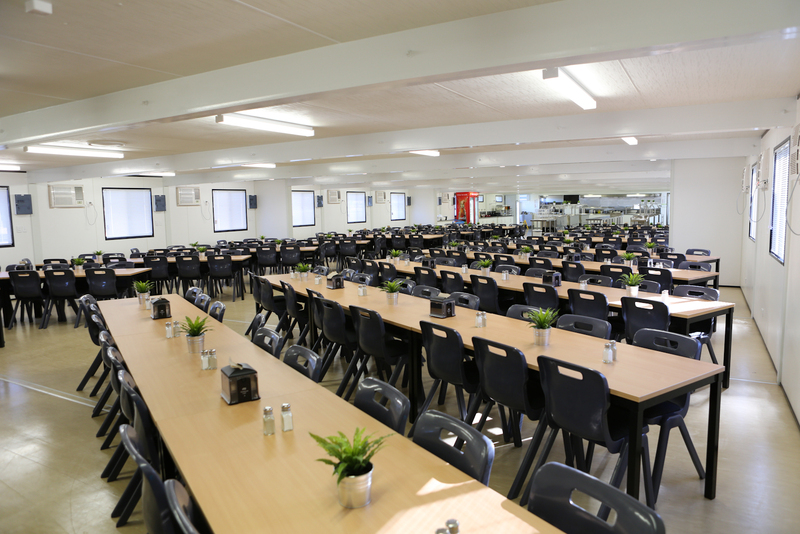 Whether you need a portable staff lunchroom for 5 or an entire dining facility for 200 plus, our hire kitchens and diners are flexible enough for any requirement. 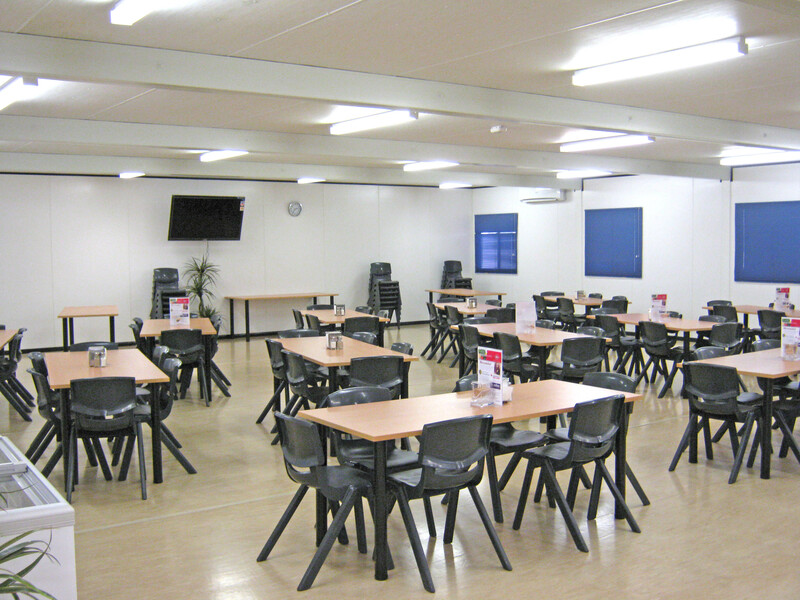 Modular allows changing the size of your kitchen or diner to expand or contract with the size of your project. Our open-plan designs allow for a smooth and effective flow of patrons with different needs and requirements. 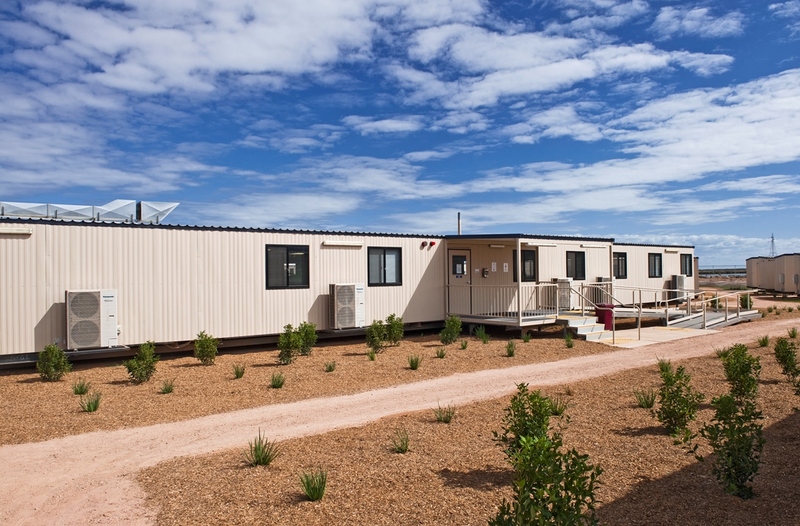 Our buildings are built tough with fittings and finishes that can withstand frequent and constant use with minimal maintenance. Mixing of round and rectangular tables can be used to encourage different size groups of diners to congregate. 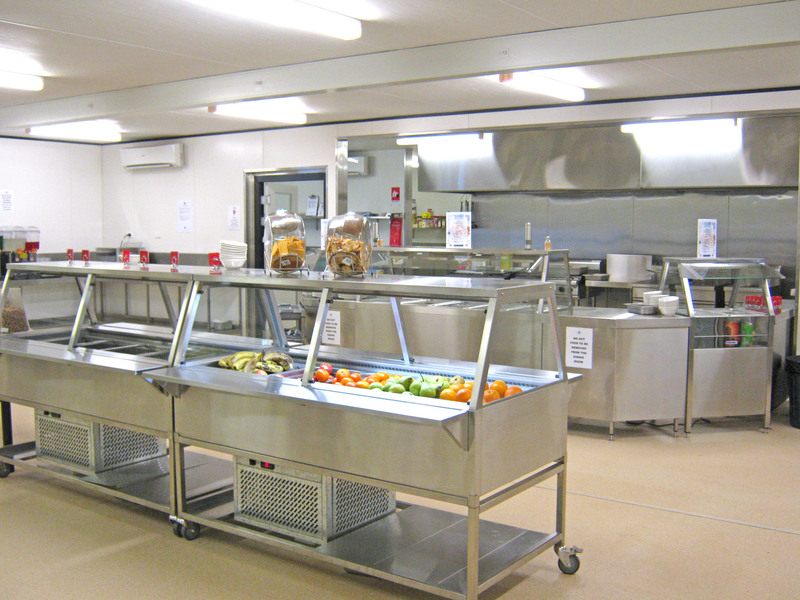 Cooking and preparation facilities include areas and equipment for cooking, general prep, vegetable and meat prep, pastry, direct serve cooking and serveries for hot and cold food and beverages. Pot and dish wash areas are included. Our kitchen designs allow for effective separation of dirty dishes from clean areas of the kitchen. Plans vary based on your requirements, for plans and prices, call us today on 13 62 11 or email a quote request today.